Airbus Defence and Space has demonstrated automatic air-to-air refueling of a large aircraft. The company’s own A310 development tanker made seven contacts with an approaching A330 Multi-Role Tanker Transport (MRTT) owned by the Royal Australian Air Force (RAAF). Airbus previously demonstrated automatic refueling of a fighter aircraft. The A330 MRTT is designated KC-30A in service by the RAAF. Airbus says that the system requires no additional equipment on the receiver and is intended to reduce refueling boom operator workload, improve safety, and optimize the rate of air-to-air refueling (AAR). During the initial approach of the receiver aircraft, the tanker’s Air Refueling Operator (ARO) performs boom control as usual. 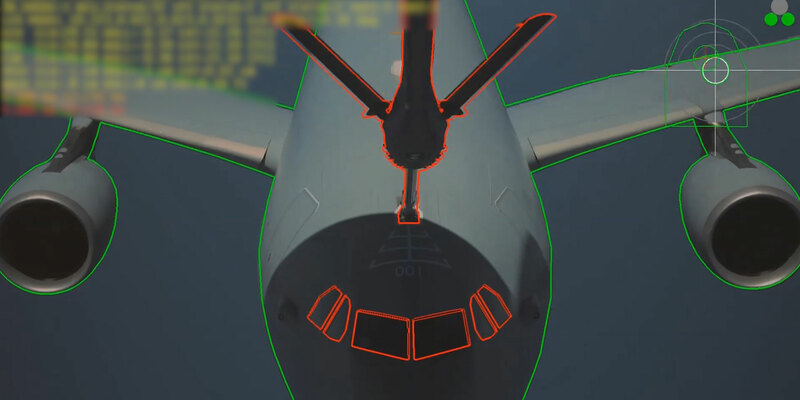 Innovative passive techniques such as image processing are then used to determine the position of the receiver’s refueling receptacle. When the automated system is activated, a fully automated flight control system flies and maintains the boom aligned with the receiver’s receptacle. The telescopic beam inside the boom can be controlled in a range of ways, including manually by the ARO, a relative distance-keeping mode, or full auto-mode to perform the contact. The flight took place off the Spanish coast on June 20 and was conducted in conjunction with test pilots and flight-test engineers from the RAAF’s Aircraft Research and Development Unit. A total of 57 A330 MRTTs have been ordered by 11 nations (Australia, Belgium, France, Luxembourg, the Netherlands, Norway, Saudi Arabia, Singapore, South Korea, the United Arab Emirates, and the United Kingdom).